Date: 18.03.2018 | House, Electro, Club | Tags: Electronic Confusion, Color Groove Records, Marco Crastia, DJ Abeb, DJ Herby, Van Heyden, Armchair Generals, Aldy Th, Paul Feelen, Ruben Drox, Funky P | Download Electronic Confusion Vol. 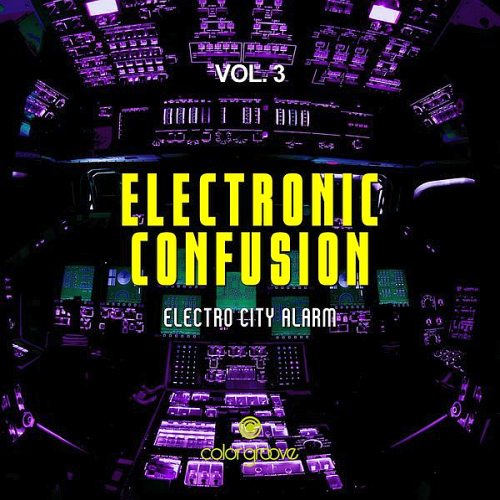 3 (Electro City Alarm) (2018) for free. Electronic Confusion Electro City Alarm is designed and signed as a reference on your choice of several exchangers file. Mirko Rinaldi Dj, pianist, keyboardist, remixer and producer, a real musical work at the school L Assolo of Simone Pavone. He plays piano, and during these years he has learnt to play at basic levels also guitar and drum while he followed a dj and computer musics course. Turkish DJ producer Chadash Cort has been active in the industry. After an initial search to find his own style, he entered the world of house music. Inspired by the beats of electro house, he created his live mixes by moving from commercial sounds to electro rhythms. The future for Chadash promises further success.He is the platinum record remixer for Arabic Singer Remix!